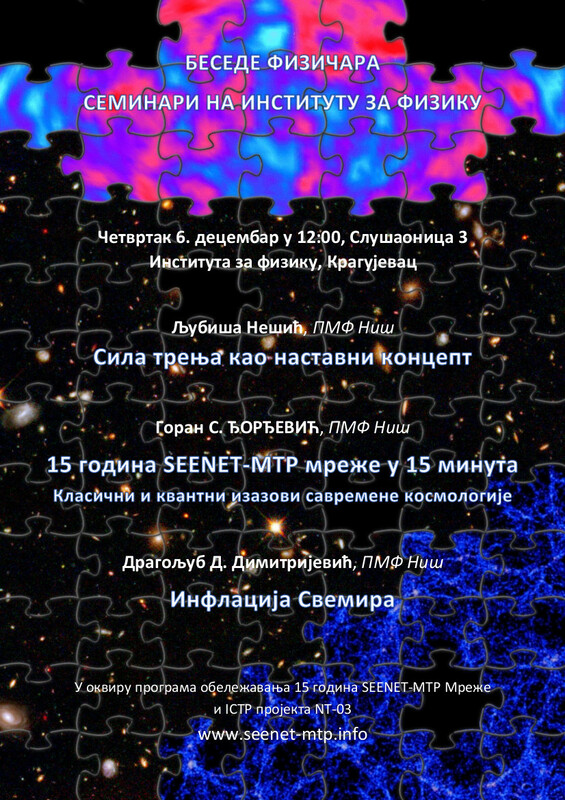 All lectures starts at 11:00 at Faculty of Science and Mathematics (room No. 306). 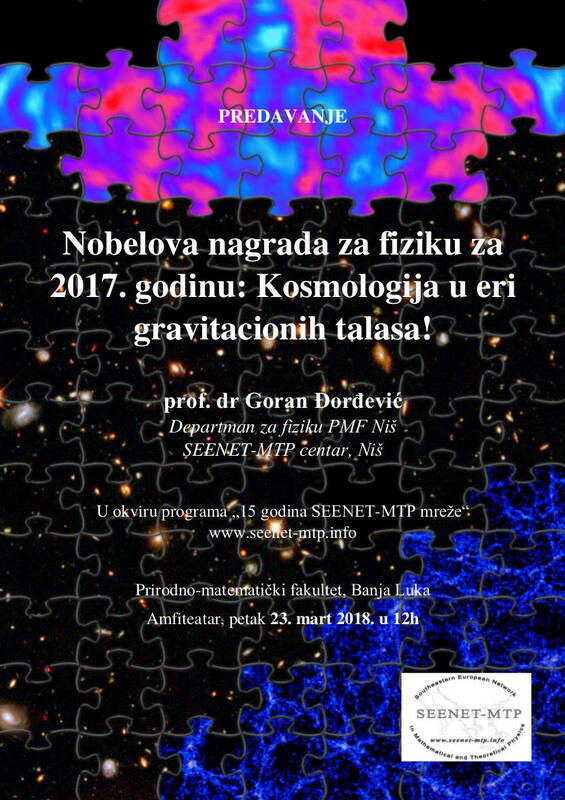 This research-exchange program is organized in the framework of the CANTATA COST action CA15117 and the SEENET-MTP – ICTP Program NT-03 “Cosmology – Classical and Quantum Challenges”.